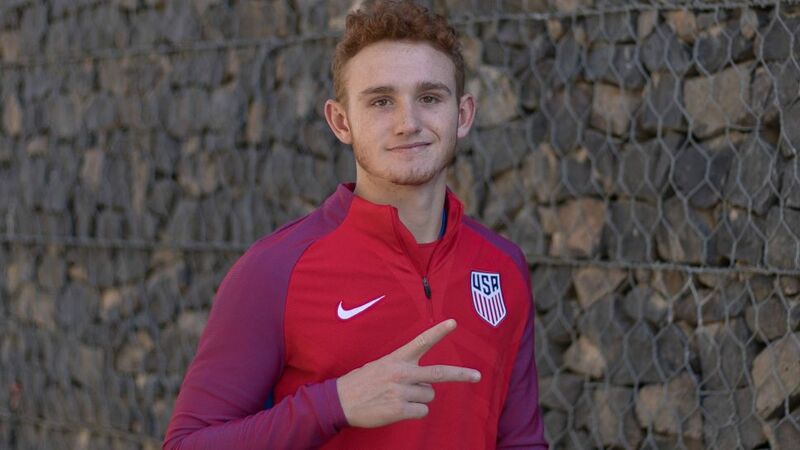 Werder Bremen hope they have landed the next Christian Pulisic by signing 17-year-old Josh Sargent from St. Louis Scott Gallagher in Missouri. The USA under-17 international will officially sign professional terms for the Bundesliga side when he turns 18, and he is expected to arrive in northern Germany in time for the second half of the season. "I'm already looking forward to next year and this new sporting challenge in Bremen," said Sargent, who first wishes to focus on representing his country at the FIFA U-17 World Cup in India in October. "Werder really put a lot of effort into signing me and they've always shown in the past how they can give young talent like me an optimal introduction to professional football. "That meant it wasn't hard for me to decide to take the next step in my career with Bremen." Sargent scored four goals and provided one assist in the USA's under-20 side which participated in the FIFA U-20 World Cup in the summer, but he caught Bremen's eye long before then. "We've had Joshua on our radar for a while now so it was no surprise for us that he has been attracting more and more attention for his performances with the national team," said Bremen's chief scout Tim Steidten. "It makes it all the more satisfying that we've been able to convince him about Bremen's philosophy, despite the interest from many of Europe's top clubs. "He's got what it takes to be one of the most talented prospects of his year group." Click here for more Bremen news and features!